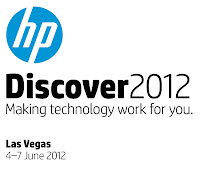 Transcript of a sponsored BriefingsDirect podcast on the upcoming June 4 HP Discover 2012 event in Las Vegas. Today, we present a sponsored podcast discussion on the upcoming HP Discover 2012 conference and why this June event in Las Vegas is both an exclamation point on the current enterprise IT climate of change, as well as a neon signpost for HP's strategy and direction. We'll look at why IT is at a crossroads, and how the very nature of IT is being redefined as a result of such large and global trends as the accelerating speed of business, cloud computing, security needs, mobile, energy-conservation demands, and especially the new role of IT as a service. Such trends are pushing those tasked with supporting their businesses, as never before, to meet and collaborat e with their peers and colleagues, and really re-evaluate how IT and business come together. We'll further examine how this event marks an important time for HP, as it solidifies its responses to these trends, provides new levels of education and more insight into its new product services, vision, and leadership. Lastly, we'll explore how attendees at such events can best benefit while there by identifying some best practices and by describing some of the meetings, fun events, and collaboration opportunities. With me now to help better understand HP Discover and its benefits is Nina Buik, Chief Marketing Officer at Connect Worldwide, the largest user community of HP Business Technology customers with more than 55,000 members worldwide. Nina is also a noted blogger, author, and a longtime observer of all things HP. Nina Buik: Thank you. Good to be here, Dana. Gardner: Now, I've been at a few of these events, and you've been at a few of these events. Almost every time we’ll hear the idea that things are different and changing, but I honestly believe that this is really an exceptional time for IT. The amount of change, the pressure, the insistence from businesses on getting new and better results from IT make it an unprecedented time. I hope you share that, and maybe you can explain it better than I can. Buik: Absolutely, Dana. You I have been in this industry for quite some time and have seen lots of changes, but I think we're at a crossroads right now, going into a new era of computing with cloud computing, bring your own device (BYOD), the challenges with security, and a laser focus on gaining better business outcomes through technology. This is why it's so important this year to come to events like HP Discover to get answers. We've talked about networking with peers in order to be able to understand how they're achieving some of these goals, but also you want to look within the data center. You’ve got fewer and fewer people supporting IT. IT has become very sophisticated, requiring fewer hands to touch the system. Therefore folks need to get out and hear messaging from their partners, HP, and HP’s partners to see how they can achieve these goals. Gardner: One of the interesting things, when we talk about the effect on individuals who are managing and implementing IT, is that they're being required to be both specialists and generalists. The days of being niche oriented are over. You need to be very deep, but you also need to understand the business implications and how you play a role in the organization culturally. So it's an important time for people to look within themselves and ask, "How can I improve my situation in order to help IT be better for my company?" Folks who were in more of a management or a systems management role are being asked to be strategic as well. Buik: You're absolutely right. You bring up an important point, because I think that the trend also is that folks who were in more of a management or a systems management role are being asked to be strategic as well. They're having to expand their knowledge of systems, instead of just focusing on the network and the integration of how storage fits into this, how parts of our ecosystem work together and, talking about goals, how do we achieve these goals by integrating all of these aspects? Gardner: HP Discover is at the Venetian Hotel and Sands Convention Center in Las Vegas. It is the week of June 4 and goes for 4-5 days. For those folks who might not be familiar, Discover is really the culmination and the integration of a number of other conferences that had been a part of HP and its other companies that came from the acquisition trend that led to the modern HP over the years. So this isn't really a small event. I think it's something like 10,000 attendees. This is really the mother of all events for HP. Isn't that right, Nina? Buik: Absolutely. I've been attending this event every year since it's started in Orlando. If you recall, Katrina forced the event to move to Orlando from New Orleans, and I've seen it grow every year. It's been so exciting not only to see the changes in technology, but to bring in other communities. As you know, the event brought in the software community. Software Universe merged with HP Technology Forum & Expo to become HP Discover. That was really an important addition to this event, because you really can't have one without the other. They need to be together, and it's very exciting to see the results of that. Last year was incredible with 10,000 people together, and really, it helps the attendees get the most out of their investments. Gardner: You bring up an interesting point about the technology, the software, and everything coming together. All of those people involved with these aspects of IT will be under the same roof. This is another reason I think we’re at an really exceptional time in IT. Innovation in the past sort of came on a spot basis. We may have had an ability to do networking faster. We may have had an opportunity for new standards to be brought to interoperability. Or perhaps there were accelerating benefits around best practices for development, test, deploy and performance management. But when you look at trends like big data, cloud computing, hybrid computing, converged infrastructure, and modernizing applications -- these are trends that have cut across all aspects of IT. They show that IT needs to be done with a comprehensive strategic approach. It's not just bolting something on anymore. One of the things about HP is that there are really just a very few organizations that can be brought to bear at that strategic level, where it’s not incumbent than upon the end-user organization to pull these threads together. You’ve got a partner in a company that also has its fingers in all the right places. There are so many opportunities where you can sit down side by side with engineers and get questions answered. Do you share that view that we're at a unique time, where being comprehensive is actually an asset to being able to change IT holistically? Buik: You hit on something key. Partnerships and alliances are so critical right now. A lot of companies in the small-to-medium size business (SMB) space typically don't have that opportunity to sit down with a company like HP to discuss all of these concerns and how to tie them all in together. At HP Discover they can do that. There are so many opportunities where you can sit down side by side with engineers and get questions answered. So you have that expertise at your fingertips. You're able to bring that back to your organization, make those plans, and achieve the goals that you're looking for. But in terms of partnership, relationships are built on trust. When you have that trust relationship, there's accountability on both sides to communicate well, to focus on the goals, and look at HP as a trusted partner. I use Pella as an example. You and I have spoken about Pella before. Pella is a great example of how an effective strategic alliance relationship with a key partner can absolutely yield better business outcomes. They're in the housing industry. I think they're the number one or two windows and doors company in the world, and they maintained their profitable status through the worst housing crisis we’ve ever faced. They’ve done that through proper utilization of their information technology, so that they don’t over order and they don’t over staff. It’s been remarkable to see how they’ve done this through a strong partnership with HP and they're getting ready to implement a hybrid cloud as well. Gardner: We’ll revisit some of the users and ways that companies are benefiting a little bit later, but I’d like to hear some more about Connect Worldwide. You’ve also had a variety of different threads that have come together over the years and now you're large and global with 55,000 members. Tell me a little bit about the history of Connect and why this is such a big deal for you too? Buik: This is near and dear to my heart, Dana. I’ve been involved with the HP user communities going back almost 20 years, as a former member of the community and a member of the board of directors. The communities decided to come together in 2008. You had the NonStop community, the traditional HP-Interex community, as well as Encompass come together to form one large HP enterprise user community, and we became Connect. The things that we’ve accomplished together and the way that we focus on help the users become successful with the technologies they use. Our goal is to help a member get the most out of their business technology investments. We do that through providing opportunities to influence HP and HP’s partners, or advocacy, and education and awareness. We're making the members aware of not only what’s going on within HP, but educating them on products and solutions that HP has available for them. Most importantly, we provide opportunities for like-minded users to get together and share best practices. They can learn from each other, and it’s magical when it comes together. It truly is. So we look forward to having a record number of members attend HP Discover this year. They bring these two together and they're able to make some strategic decisions that they can bring back to their organizations. Gardner: Why do you suppose that’s the case, Nina? Why do you have so many Connect users flocking to Discover this year? Buik: There are a number of reasons. Number one, we're introducing new special-interest group meetings at HP Discover this year. We're launching a cloud special interest group (SIG). We have a Superdome SIG and a variety of other SIGs. But aside from community, I think this is the right time. We're at crossroads in technology, and people within the community know that, at community events, they're going to be able to discuss with other folks how they're using a particular technology. For example, if they're interested in cloud computing, what’s a better place to come together to learn how other companies are using these technologies as well as understand what HP is offering? So they bring these two together and they're able to make some strategic decisions that they can bring back to their organizations. Gardner: I should point out as full disclosure that I'm a blogger on the Connect site and really appreciate the opportunity to participate. It’s been three or more years that we’ve been doing that. I envy the fact that you’ve got 55,000 people that you can tap into. As a researcher, myself, it’s probably an unparalleled opportunity to reach the HP ecosystem and find out what’s going on. Have you’ve been doing any polling recently? What have you been able to tell us about what the zeitgeist, the mentality, is among your users? Buik: We can talk about a few polls that we’ve done recently. Just before the registration for Discover launched, we wanted to understand why our members wanted to attend Discover. The number one reason was peer networking, followed closely by education. That ties right back into what we were just talking about, being able to talk to other members and just other attendees about their experiences working with HP and using various HP technologies. What is the saying, "Self praise is no recommendation?" You really learn more from others. Then again, tie that right into speaking with the HP engineers and other professionals about what HP has to offer, and between the two, you can make great decisions. In terms of education, there are over 700 sessions in the session catalog. There's everything from cloud to security. There is just so much being offered. Another interesting poll that we did on the top technology trends for 2012, a lot of folks are looking at platform migration, the Oracle announcement. So we know there are members who are looking at platform migration, and that could be a huge endeavor, depending on the company size, the size of the systems, or the number of systems involved. So what better place to go to, to learn from others who perhaps have experienced that, than at an event like HP Discover? There are members who are looking at platform migration, and that could be a huge endeavor, depending on the company size, the size of the systems, or the number of systems involved. Gardner: You know, how dependent we are now on social media, with tweets, blogs, Facebook alerts, and walls of friends and associates scrolling by us. But there really isn’t a better place to do that than in person. If you're a big fan of social media then you'd think that you’d also be a big fan of social interactions that can be far richer and extemporaneous. You are going to have interactions, as I often do at these events, that you don’t expect. We meet people that you don’t have on your list. It’s a way of broadening those concentric circles that we all seem to depend on more-and-more. Buik: Absolutely, and you can extend the conversation beyond 140 characters. Gardner: Tell me, before we move on to some of the particulars, what’s going to happen at Discover. Certification is also a big deal now. Getting back to that issue about career and how to position yourself at these crossroads for your personal future, isn’t there sort of a big opportunity around certification here at these events? Buik: There is. The ExpertONE community is offering five free certifications with your registration. Each one of those certifications cost anywhere between $150 and $200. So that’s a huge deal. But more than that, through the years, the importance and significance of certifications has changed. Now, more than ever, IT professionals are looking at certification as a means to separate themselves from the competition for particular job opportunities, or even within an organization, to show that they can kind of move up within an organization. There are just so many people now looking for work. It’s a very flooded market. I recently spoke with the CIO who said, I post one opportunity and my human resource manager brings me 1,500 résumés. The only way I can differentiate, to weed out the first round, is through certification. So it’s really important. Gardner: Discover, of course, provides an unprecedented opportunity for HP itself. They have the opportunity of getting 10,000 people under "one tent." They have their main stage presentations. It’s really the premiere coming-out party for HP, when it has new vision, when it has strategies that it wants to solidify, and when it comes to introducing and affirming leadership. As I understand it, these main-stage events are going to have an emphasis on converged cloud, application transformation, enterprise security, and information optimization, that big-data part that’s so important for organizations now. Of course, that includes the non-structured information too. We're going to hear from Meg Whitman, HP’s President and CEO. I think it’s her first big appearance in North America. She did, of course, present in Vienna at the fall Discover. Is this a big deal for Meg, in particular, do you think, Nina? Buik: I think so. I did hear her speak in Vienna, as her first opportunity to address HP customers. She did absolutely what she should do, as explained in her vision for the company. Now it’s time to turn the corner and talk about technology, where we're going with technology, and how HP has committed to supporting the customer through these changes. This is even more important than that first opportunity to say, "Here’s who I am. Here’s a little bit about me." She has established herself, and now it’s time to focus on the technology and on how HP is committed and dedicated to helping HP business technology customers achieve success in this new environment. Gardner: And she is going to be joined on stage by such HP leaders as Dave Donatelli, the Executive Vice President and General Manager of the Enterprise Group; Todd Bradley, the Executive Vice President of Printing and Personal Systems Group; Bill Veghte, the Chief Strategy Officer and Executive Vice President of HP Software; Mike Lynch, the Executive Vice President for Information Management; and John Visentin, Executive Vice President for Enterprise Services. I also understand that Jeffrey Katzenberg, the CEO of Dreamworks Animation, is going to be on stage. Of course, Dreamworks has been in tight collaboration with HP in the production of its animation and 3D products. So that should be very interesting. You mentioned earlier that we’ve got something like 700-800 business and technical sessions. There is the Discover Zone of the exhibits area, where more than 350,000 square feet space will be devoted to IT solutions from the ecosystem, where you can find the partners and the folks that are part and parcel of the total-solution approach. There is the one-day Partner Summit on Monday, June 4, and an invitation-only CIO Summit as well. Now, tell me about Connect. You’ve got some of your own events at Discover, I think there is a community night? Buik: Absolutely. Connect will be part of the Community Lounge in the Discover Zone. It’s right next to the bloggers’ lounge. So it’s an opportunity for Connect members and folks who don’t know about Connect to come to learn more, as well as take a load off their feet. No one is trying to sell anything. We're just trying to make sure everybody is comfortable, happy, and has an opportunity to meet and network with others. Typically, a lot of folks come to the Community Lounge and use it somewhat as an informational area. Where can they learn more about x, y, z, or where might there be a particular topic? The great thing is that so many people are attending, we can actually make those connections right there. So it’s really a neat place to be. Also, on Wednesday evening, we're hosting a community appreciation night with Vivit which is the HP software community. That’s going to be at Gilley’s, across the street from the Venetian at Treasure Island. Wednesday evening, we're going to host a tweet up from 7:00 to 8:00 followed by a Going for the Gold community appreciation night. So there’s going to be a lot of fun, as we kind of celebrate the ancient Greek games, but western style with a twist. So we’ve got a lot of fun things coming. As we talked about social media earlier, we're really tying in social media as part of this event to extend the buzz around the world. Gardner: It’s in Vegas. So there are always interesting things going on there, and HP takes advantage of that venue. My advice to folks who are attending an event as big as HP Discover is to define what your goals are for the event. So I'm looking forward to this. There are a lot of fun things, a lot of interesting things for your personal career, for your company, and then of course, learning more about where HP is heading in the coming year or two. Any other presentations that jump out at you? I know there are over 700 to choose from, but maybe you could tell us some best practices, when you’ve got this ocean to boil at an event this big, but you have limited time and availability for taking advantage of that. How do you triage? How do you find the best and tailor what to do to get the most bang for your buck and your time? Buik: Dana, my advice to folks who are attending an event as big as HP Discover is to define what your goals are for the event. I want to learn more about XYZ or my goal is to come back with a plan for how we're going to implement a hybrid cloud or a private cloud? Or my goal could be that I find myself in between jobs. I know folks who are doing this. They've bought their registration and they're going there to network, because they’ve worked in the HP space for so many years. But have a plan. Then, go look at the session scheduler and find the sessions that match your plan. You can do a keyword search. You can do a search by track. Identify the sessions that will meet your needs or help you meet those objectives. Look for SIG meetings, if you want to hear from peers. Connect has 12 SIG meetings. So keyword search SIG. That's a great opportunity for you to interact not only with other like-minded professionals, but also with HP folks who are subject matter experts on that particular topic or SIG. But it's really important to have a plan. As you just said, Dana, there is something going on every minute of every day for those four days. So you have to plan carefully. But also take time to socialize. A lot of times at these evening events and member appreciation events, really good networking occurs, because everybody is not so focused on learning, but open to having discussions and conversations with others. So I definitely encourage folks to take advantage of the social opportunities, as well as so many educational opportunities that exist. Gardner: I was looking over some of the presentations and a couple jumped out of me. I'm going to give some times and dates. They're subject to change, but I'm going to take the risk anyway. One that grabbed my attention was "Winning with HP's Converged Cloud Solutions," 11:15 on Tuesday, June 5. Marge Breya, Vice President Worldwide Marketing for HP Software, will be presenting along with Steve Dietch, Vice President, Worldwide Cloud. That should be of interest. "Project Odyssey," which is defining the mission-critical computing, 1:30 on Tuesday. Martin Fink, the Senior Vice President and General Manager of Business Critical Systems, will be presenting and redefining data-center economics with the new ProLiant Gen8 servers, a very interesting subject. There is something going on every minute of every day for those four days. So you have to plan carefully. Mark Potter, Senior Vice President and General Manager of Industry-standard Servers and Software, will be presenting "Enterprise Security," always a top topic, at 5:15 on Tuesday, June 5. Tom Reilly, Vice President and General Manager of Enterprise Security. So lots of big stuff, not just the main stage, but some really interesting subjects by some of the top people in the field. So I hope we’ve enticed some people’s interest in this. I hope that they consider not only the event but also being part of Connect tin the community. More information of course is available online. You can do a search on HP Discover 2012 and get there very rapidly. There is also a full page devoted to HP Discover on the hp.com site. And if you haven't registered, there are ways of doing that. Do you have any codes or any goodies for people that are registering that might take advantage of your organization? Buik: We absolutely do, Dana. You can learn more about Connect by visiting connect-community.org, but also if you register for HP Discover you can get a $300 discount and be affiliated with the community, so that you can get your fast pass into the community party on Wednesday evening. The code is UG2012. Gardner: Well good. I look forward to the event. I look forward to seeing you again, Nina. It's fun to hang out and learn more from the folks around us. I'm going to be doing some podcasting as well at Discover, as I have been doing for a few years now. So that should be fun. You've been listening to a sponsored BriefingsDirect podcast discussion on the upcoming HP Discover 2012 Conference and why this June event in Las Vegas is both an exclamation point, if you will, on the current enterprise IT climate of change, as well as a neon signpost for HP's strategy and direction. We've seen how this June 4 event marks an important time for HP and it certainly should mark an important time for the attendees, their careers, their companies, and how they're going to tackle this important time in IT and business in general. I would like to extend a thanks to our guest, Nina Buik, Chief Marketing Officer at Connect Worldwide. Thanks Nina. Buik: Thank you, Dana. See you in Vegas. Gardner: Absolutely. This is Dana Gardner, Principal Analyst at Interarbor Solutions. Thanks again for listening, and come back next time. Transcript of a sponsored BriefingsDirect podcast on the upcoming June 4 HP Discover 2012 event in Las Vegas. Copyright Interarbor Solutions, LLC, 2005-2012. All rights reserved.